50 year old Star Trek universe? Not any more. They wiped the whole history in the reboot with a time travel, different timeline plot. So that 50 years worth of material…didn’t happen. God, I hate Star Trek now. but only in this universe, it still continues out there in the multiverse. Yeah it’s just different timelines. It’s just a movie, TV, cartoon, webisode, podcast, novel, comic story series. Nothing to get your space undies in a twist over. Enjoy it. Except Nemesis. Nobody liked Nemesis. And the theme to Enterpise when they added in the guitar riff and drums. Nobody liked that either. And Star Trek: The Motion picture. Motion Picture has its fans. 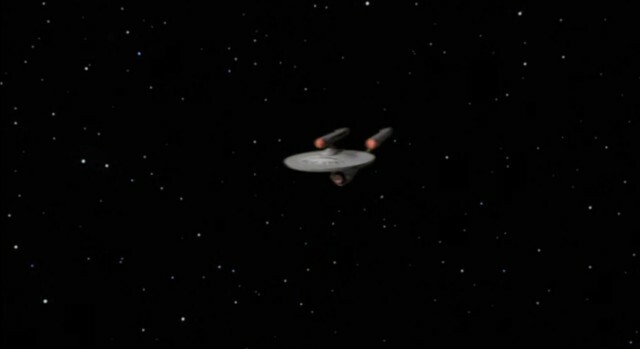 It’s the most ‘Roddenberry’ of the original movies and the truest sci-fi Star Trek movie. 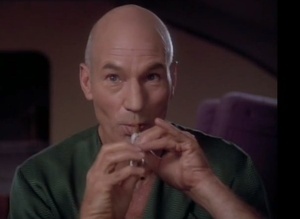 What, so TNG never happened? Star Trek Renegades: Requiem (fan fiction with original cast members), has just been crowd funded on IndieGoGo. Check it out. Gold. The new TV series coming next year – Star Trek: Discovery – will be set in the ‘prime’ timeline as the rest of the TV shows. Check out the teaser trailer of the ship they posted over the weekend.